Early one Saturday morning, desperate for an extra bit of wink time (late night celebrations for his recent rugby victory), my husband delegated the task of taking my son for his football practice to me. 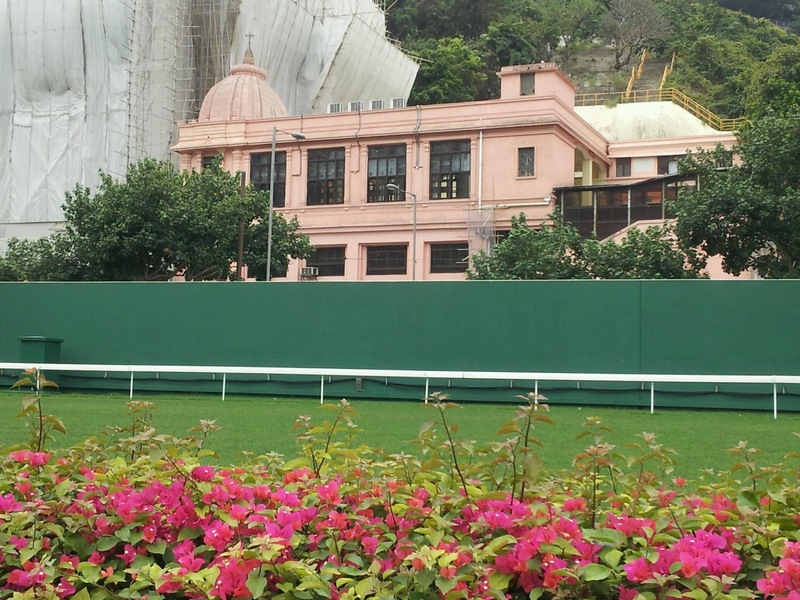 Being an early riser I did not mind the change in duty and I happily accompanied my son to his football class which is is beautifully located amidst lush, green grounds of the Happy Valley race course. I had a different agenda in mind! It was almost 7:30 am when I dropped off my son to his pitch and as he ran ahead to join his team mates and coach, I proceeded towards the race course track looking forward to a good one-hour run! The morning was quite peaceful and sun hidden behind the clouds as I joined the other joggers, walkers on the jogging path. The first round was a bit slow, took me ten minutes as I leisurely absorbed the sights and sounds around me. Actually that’s when I decided to write this post too. The second round was a bit faster deciding on what photographs I would click, while my mind had already started working on the captions. This first photograph of course is not taken by me. I did a bit of research after coming back home. 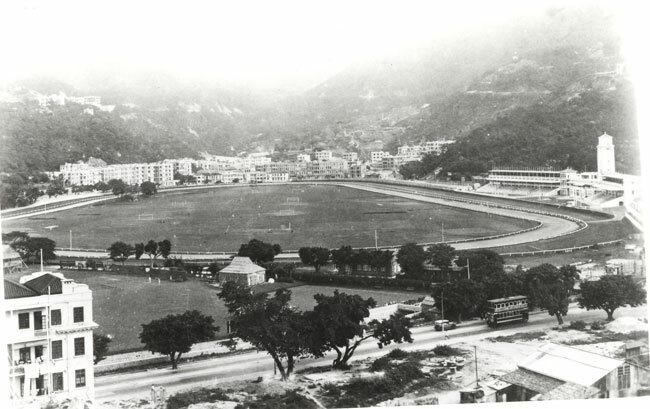 Apparently in the early settlement period, Happy Valley was a marsh land covered with paddy fields and unsuitable for residential living, so in the year 1848 the British decided to convert this flat piece of land into a race course. 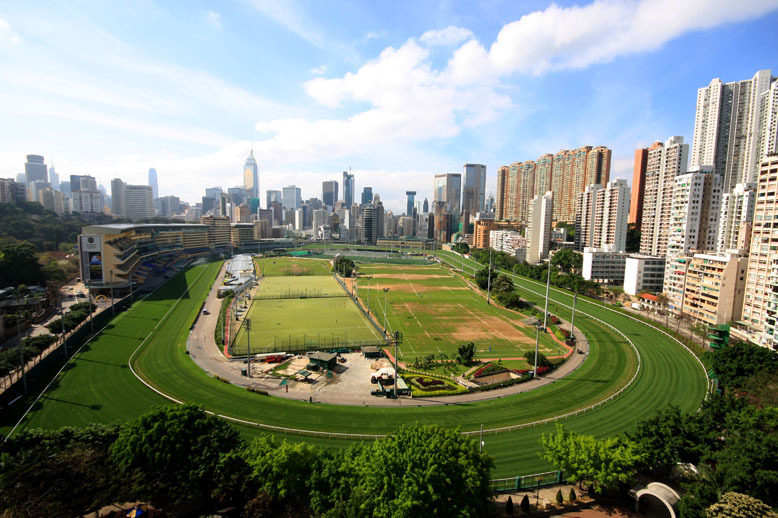 The Cantonese name for Happy Valley is ”Pau Ma Dey” which literally translates to Horse Racing Ground. 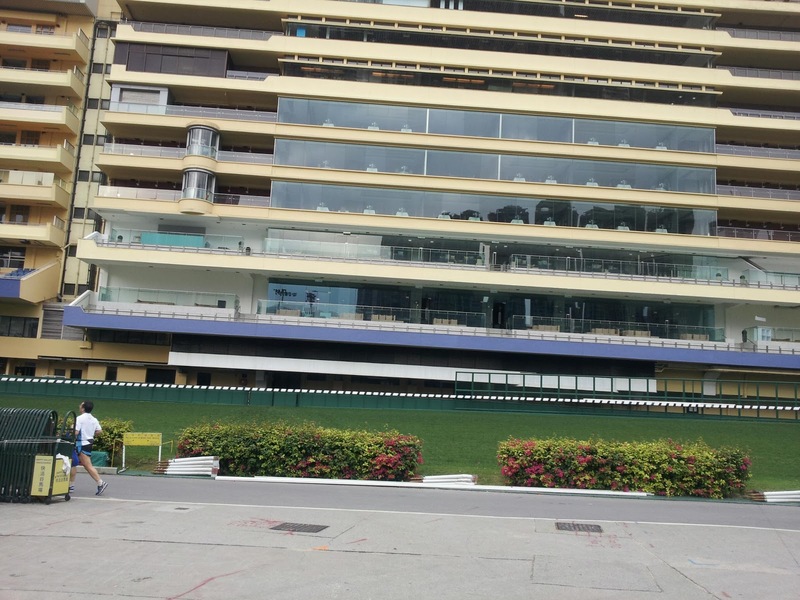 This picture below is of the stands from where one can watch the races. Towards the evening I have seen this place get packed for social events, so race or no race this city sure knows how to party! The next one is the complete opposite of the glamour and glass façade seen earlier. This is the other side of the rich and the famous. 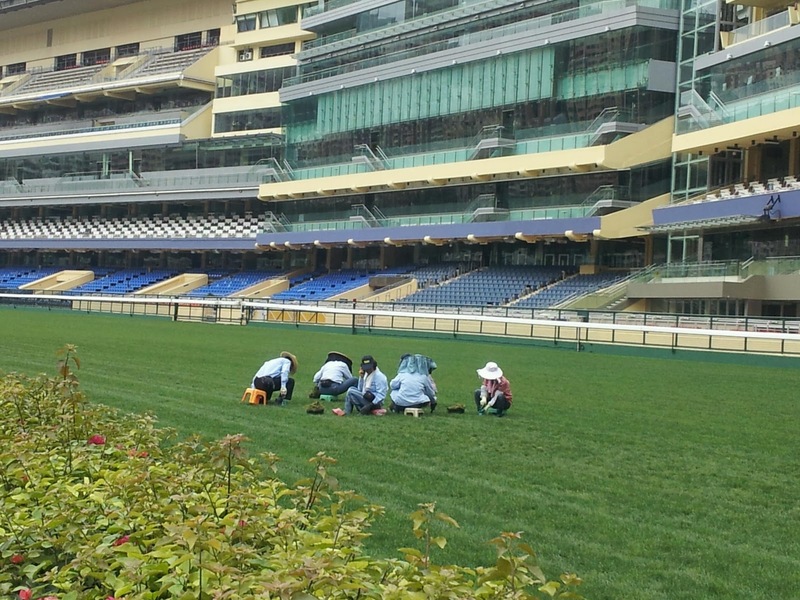 People who stay in the background and earn their living by maintaining this lovely real grass track. Tough, back breaking job, specially in the summer heat. This photograph is of the Hindu temple which today serves about a 100,000 Hindus and followers of Hindu religion from South, South-East and Far East Asia. My husband visits this temple quite often and I have been inside a couple of times too. Just adjacent to this temple lies the lesser known Parsee cemetery, which is not visible in this photograph. 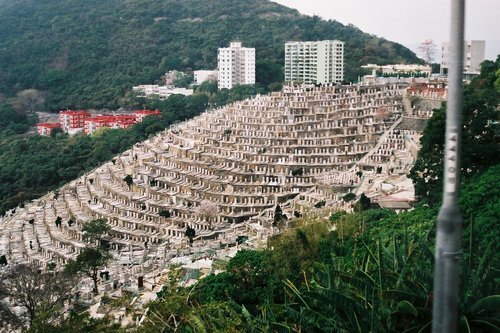 As the history of Happy Valley goes, in 1840, the British had set up a military camp in this area but following an increasing number of soldiers and civilians falling ill or dying due to an unknown fever, the valley became a burial ground for the dead and was renamed ‘Happy Valley’ as a euphemism to the number of cemeteries. 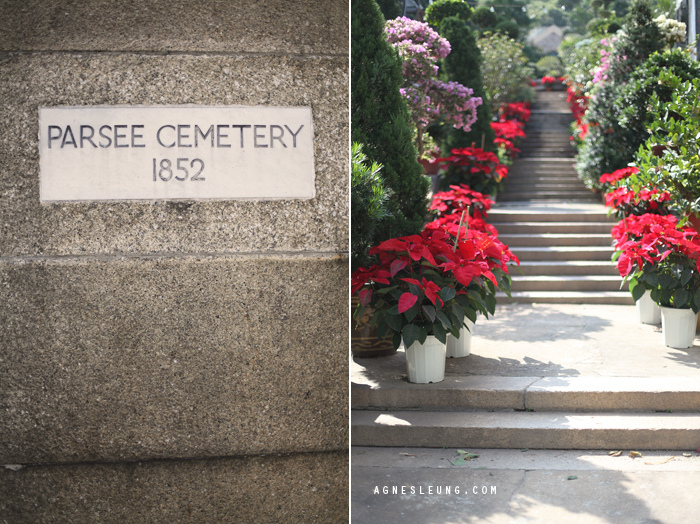 So besides the oldest Catholic cemetery in Hong Kong, one can also find Muslim, Hindu, Jewish and like I mentioned the Parsee cemetery. Parsis migrated from India to Hong Kong during the early colonial rule and despite their small number influenced life in Hong Kong to a big extent. The more famous Parsis were Sir Hormusjee Mody and Mr. Dorabji Mithaiwala who with their philanthropic activities helped set up The University of Hong Kong and Star Ferry – both icons of Hong Kong today! This one is of a playground that we used to frequent when we lived in Happy Valley. I remember buying fresh bread or biscuits from the bakery opposite the road and then enjoy a peaceful afternoon while the kids had fun on the slides. Lots of good memories of this one…..having got badly bitten by an army of mosquitoes on a hot summer’s day is certainly not one of them! A striking contrast of the old vs the new made me take this photograph. 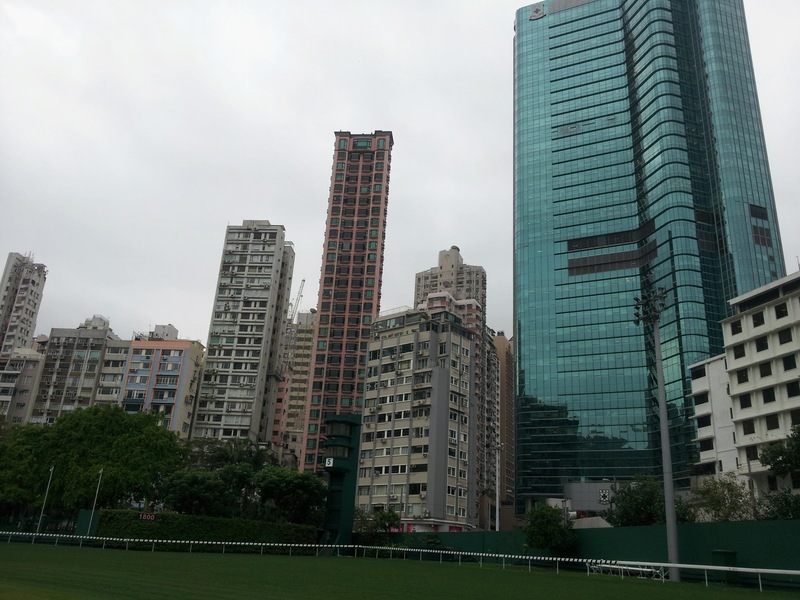 Happy Valley is one of those few places in Hong Kong where you do get a choice of staying in an old low rise building vs a swanking new high rise one, the latter taking over the former at an alarming rate as demand for new housing increases. 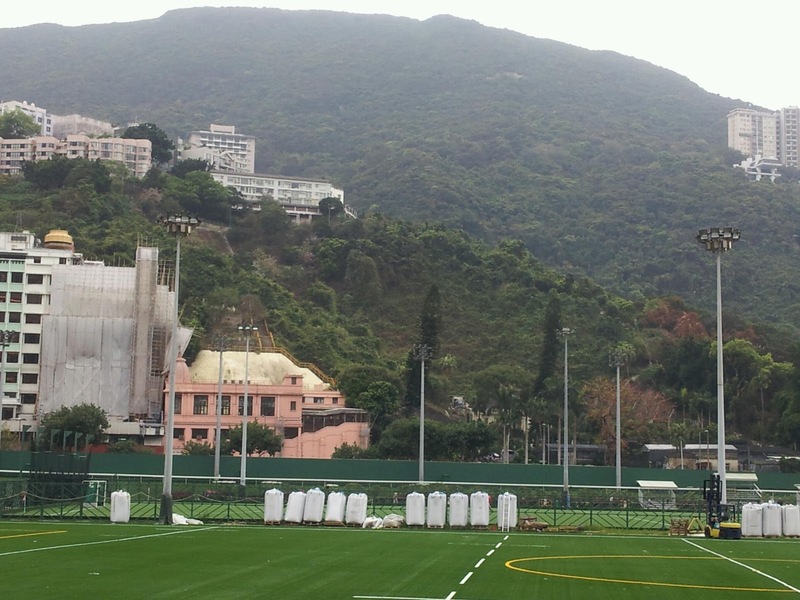 This is the part I love about HK. No matter how densely populated this city or how tall the buildings, one is never too far from a mountain trail, a beach or in this case a big chunk of greenery amidst concrete. 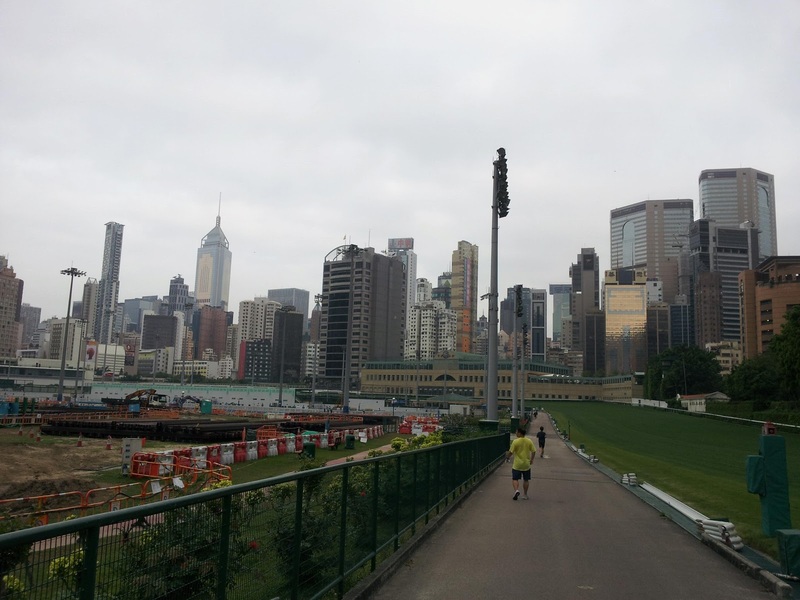 Happy Valley enjoys a great location nestled between the commercial districts of HK – Wanchai, Central and Causeway Bay visible in the background. 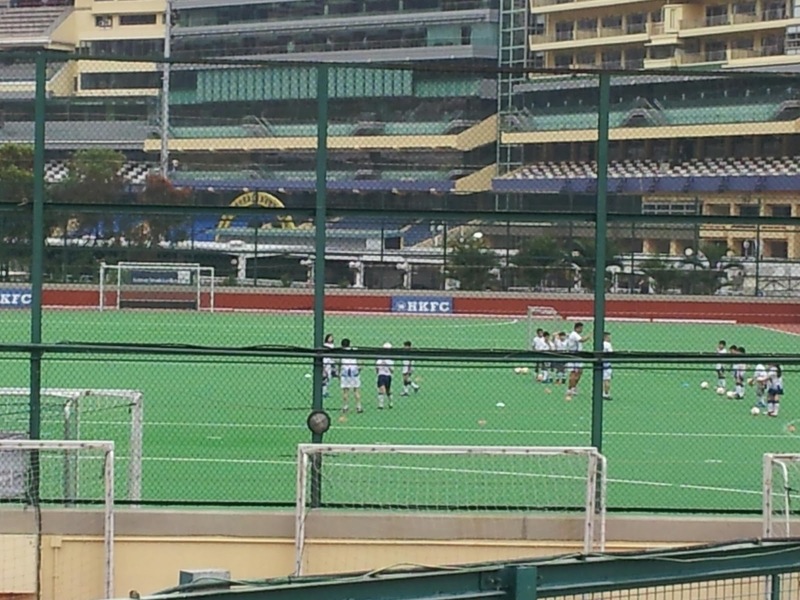 Finally…..having come back a full circle the last photograph is of my son’s soccer class as the boys are made to do a last round of their warm up exercises. Their match is about to begin and I quickly head back to the football pitch happy with my morning session. Happy in Happy Valley! Thank you for the invitation to your blog. i am absorbed. My high five to ur son for having such a great mom. And ur captures cajole me to be in that place of earth. beautiful pics. and informational post. Thank you Neo Prady…hope you keep visiting my blog! Thanks Seb…glad you liked it. Thank you for your first visit Brad. Hope you come back for more. Thank you. Am happy that you visited my blog. Thanks Vishal. Keep coming for more. 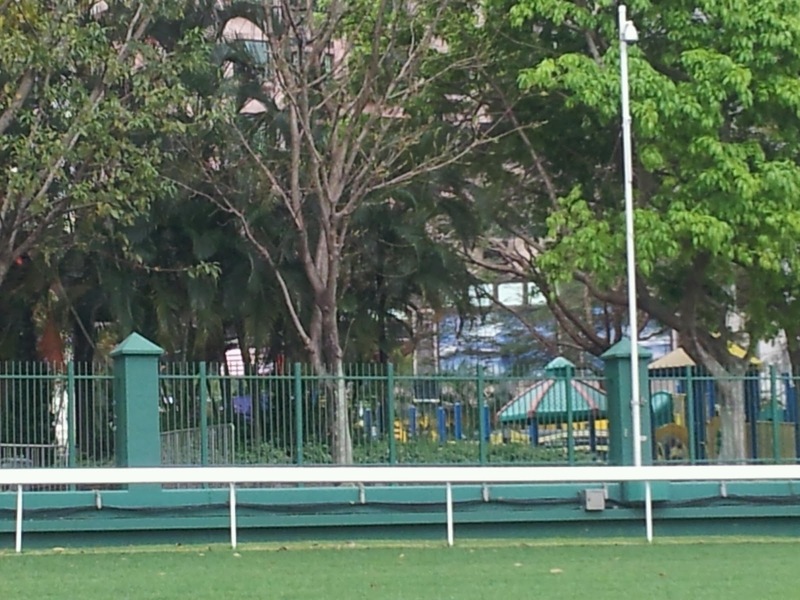 I didn't know about the Parsi cemetery near the race course, thanks for sharing all the information. Yes, I was Happy in Happy Valley and used to say that often too while living there. Actually I could have gone on and on about it, but restricted myself from boring people too much :)! I have been inside the Parsi cemetery once when someone in the community died. It is amazing how the traffic noise suddenly dies down and peace and calm takes over once you are inside.